Despite its title, Neruda is not a typical biopic about the famed Nobel laureate and Chiléan national treasure Pablo Neruda, though it does feature the poet (adroitly played by Luis Gnecco) on the lam. But the film is more to do with the power of his poetry or, dare I say with a straight face, the transcendent power of art. Neruda has all the ingredients of an 'award winning' film. 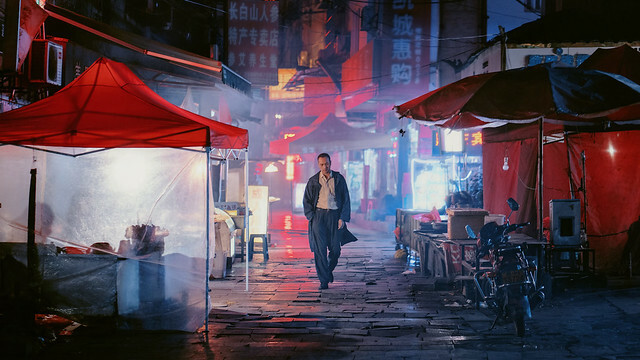 Unlike all the heavy handed, self-important and mostly boring award winners, however, it floats around like a cloud while retaining all the artistry, elegance and poignancy without missing a beat. Immensely watchable and wildly entertaining, Neruda, along with his other release of the season Jackie, proves that Pablo Larrain has emerged as one of the major talents in contemporary cinema. Not willing to leave his beloved country nor give up his bourgeois tendencies -- visiting his beloved whorehouses and throwing wild parties whenever he can -- Neruda exposes himself to dangers of being captured and jailed, while Delia suffers quietly, locked in various safe houses. So begins the very loose game of cat-and-mouse between Peluchonneau and Neruda. The hard as nails inspector has many close calls of crossing paths with the fugitive but the fat, bald man always sneaks away, always leaving the same detective novel for Peluchonneau to pick up. As the film progresses in its dreamlike, at times surrealistic way, both we and the inspector himself begin to wonder if he were a creation of the mind of the poet? Is he a mere supporting character in an unfolding narrative? Larrain and writer Guillermo Calderón (Violetta Went to Heaven, The Club), with the help of fantastic acting from the entire cast, expertly move the focus from the famous historical figure to his art. Neruda is seen as a womanizing bourgeoisie, a so-called champaigne commie. But it's his beautiful poetry that captured the heart of the working class. Everywhere he goes, people ask him to recite his poems. From a drag queen in a whorehouse to a street urchin, to strikers and political prisoners, his poetry gives them a voice. Sergio Armstrong (Young and Wild, No)'s fluid camerawork-- 360 degree long takes, plenty of anamorphic lens flares and full of light-- owns the film's borderline dreamstate quality. 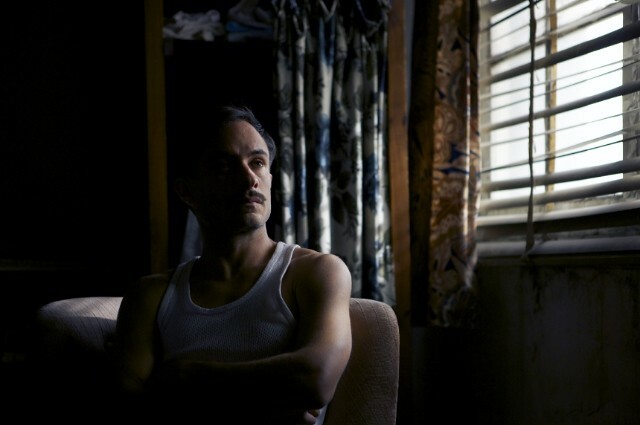 Shot digitally but with one 35mm anamorphic lens to have that old timey film look (more grains, soft edges), Neruda is definitely one of the most beautifully shot films in recent years that beckons to be seen on a big screen. As Peluchonneau tracks down Neruda to the snowy Andes, the film takes another one of its many unexpected turns and becomes a metaphysical road movie - that it's not Neruda the person the inspector is after, rather, it's an idea of Neruda: a mirage or something unattainable, like his poetry, as it leaves your mouth and becomes something intangible but unequivocally meaningful. Treading boundaries of reality in a free form that is unquestionably cinematic, Larrain achieves something very special with Neruda. It's a beautifully crafted film that feels completely effortless and airy. It is clever, playful and fluid yet not too showy, emotionally resonant yet not corny. It's a political treatise, yet it doesn't take itself too seriously. But it doesn't make light of the persecution and people's suffering either. Neruda is a great achievement in cinematic art form. Neruda opens in the US on Friday, December 16.